PT Berlian Jasa Terminal Indonesia - PT BJTI or known as BJTI Port is a rapid growing port services company in Indonesia, based in Surabaya East Java. PT BJTI is a directly-owned subsidiary company of PT Pelabuhan Indonesia III (Persero) or known as Pelindo 3 Group. As of December 2014, PT BJTI’s shareholders are Pelindo 3 Group and KOPELINDO III. TELKOM, which owns 96/84% of PT BJTI’s issued share capital, is one of the largest state-owned port operator in Indonesia. KOPELINDO III owns 3.16% of PT BJTI’s issued share capital and is an employee cooperative of Pelindo 3 Group. Originally registered as Divisi Usaha Terminal Serbaguna (DUTS) or Multipurpose Terminal Business Division of Pelindo 3 Group and was established as a separate legal entity in 2002. PT Berlian Jasa Terminal Indonesia now has 6 subsidiary companies, namely PT Berlian Manyar Sejahtera (BMS), PT Berkah Kawasan Manyar Sejahtera (BKMS), PT Pelindo Property Indonesia (PPI), PT Terminal Curah Semarang (TCS), PT Terminal Nilam Utara (TNU), and PT Energy Manyar Sejahtera (EMS). In 2014, PT BJTI has succeeded hit new records of container production in Terminal Berlian Tanjung Perak Port. 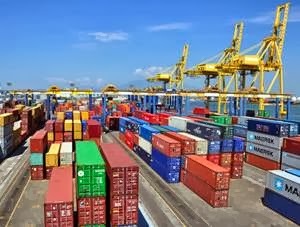 According to PT BJTI's news release (published on 29 January 2015) as quoted by JobsCDC.com, PT BJTI reported total number of container loading and unloading activities in 2014 amounted to 1,158,947 Teus or 1,060,585 Box or growth by 16.5% from 994,250 Teus in 2013. Male, Indonesian Citizen (WNI) with minimum age of 25 years old. Have a good health, both physically and mentally, not tattooed and pierced. Status as an Outsourcing Staff at PT BJTI (minimum 1 year of work period). Have relevant experience to support the application. Placement : Kupang (Preferably local resident). Status as an Organic and PKWT Staff at PT BJTI as RTG/HMC Operator. Recent color photograph 4x6 (2 sheets). JobsCDC.com now available on android device. Download now on Google Play here. Please be aware of recruitment fraud. The entire stage of this selection process is free of charge. PT Berlian Jasa Terminal Indonesia - Operator RTG, Operator HPC Pelindo 3 Group July 2016 will never ask for fees or upfront payments for any purposes during the recruitment process such as transportation and accommodation.